Quentin D. Young is a Chicago based retired medical practicioner and prominent socialist activist. He has been a close personal friend an mentor to Barack Obama. Quentin Young was married to Ruth Young who died in 2007 and is the father of Ethan Young and Polly Young. Quentin Young was listed as a member of the National Executive Committee of the ASU Elected at the Fourth Annual Convention - 1938, from the "High School" representatives. "Quentin Young, Hyde Park H. S., Chicago". This source is found in the famous "Appendix IX" publication of the Special Committee on Un-American Activities, House of Representatives, Seventy-Eighth Congress, Second Session, on "H.Res. 282", "Committee Print, Appendix - Part IX, Communist Front Organizations with Special Reference to "The National Citizens Political Action Committee]] NCPAC, First Section, Second Section, and Third Section, Pages 261-1048, GPO, 1944, Item 30, American Student Union, Pages 514-523, Quentin Young on P. 523. The NCPAC was cited by Congress as a Communist Party USA (CPUSA), political action front, and was featured in a number of very large and detailed volumes of Appendix IX, which were ordered destroyed by the Democrats in Congress because it showed that a significant number of Democrats were very active supporters of CPUSA fronts and causes during the 1930's through 1944, when the investigations concluded. An unknown number of complete sets of Appendix IX were saved by at least one SCUA staffer, the late Ben Mandel, a former radical turned anti-communist. Keywiki.org has access to these volumes and its related Index of individuals. Among other top ASU National Executive Committee members elected at the 1938 convention were the following, some of who remain controversial about their communist activities even till today. Joseph P. Lash - Executive Secretary, CCNY. Best known as a close friend and advisor to Eleanor Roosevelt including during the presidency of her husband, Franklin Delano Roosevelt. In a book about him, he admitted his communist affiliations and essentially renounced them, but suspicions about his true political leanings have remained till today. Bernie Firestone - Vice-Chairman, Un. of California, Berkeley, West. Is probably the same person who was a leftist labor leader in the 1960s onward. Boone Schirmer - District Secretary, New England, Harvard. Long an identified key New England leader of the CPUSA, including having been identified by FBI undercover agent Herbert A. Philbrick in the HCUA Hearings on Communism in Massachusetts during the mid-1950's. Schirmer later shows up in the Hanoi Lobby efforts against the US in Vietnam, as well as being a key member of a maoist-oriented communist front known as Friends of the Filipino People (FFP). Many members of the ASU were not communists and severed ties later on as they found out about its true nature. The ASU will be discussed at their site on this Keywiki database. Quentin Young was a member of the Young Communist League USA in pre-WW2 Chicago - while attending Hyde Park High School. Quentin Young "fought fascism", with his friend Bernice Weissbourd in the pre-War period. In 1962 Dr Quentin D. Young servedon the Advisory Council of the Hyde Park Community Peace Centre, with Sidney Lens and Timuel Black. Dr. Young was a Clinical Professor of Preventive Medicine and Community Health at the University of Illinois Medical Center and Senior Attending Physician at Michael Reese Hospital. He graduated Northwestern Medical School and did his residency at Cook County Hospital in Chicago. During the 1970s and early 1980s, he served as Chairman of the Department of Internal Medicine at Cook County, where he helped establish the Department of Occupational Medicine. He has also been an American Medical Association member since 1952. In addition to his distinguished career as a physician, Dr. Young has been a leader in public health policy and medical and social justice issues. In 1998, he had the special distinction of serving as President of the American Public Health Association and in 1997 was inducted as a Master of the American College of Physicians. In 1980, Dr.Young founded the Chicago based Health & Medicine Policy Research Group, which he still chaired in 2008. In the 1960s Quentin Young he was personal physician to Martin Luther King, when Dr. King was in Chicago. In late years Young became doctor to the Rev. Jesse Jackson. Quentin Young Editor "Health Rights News" M.D. On December 12, 1968, the 19th annual meeting of the Hyde Park Kenwood Community Conference convened a forum on the "black revolution and its implications for an integrated community". Conference chairman Rufus Cook moderated the panel. Circa 1969, Dr. Quentin Young, Medical Committee for Human Rights, Chicago , was listed as a sponsor of the Socialist Workers Party led GI Civil Liberties Defense Committee . In 1970, the Board of Directors of the then Communist Party USA front Chicago Committee to Defend the Bill of Rights consisted of Rev. Frederic E. Sau, Harry Barnard, Boris Brail, Edward Carey, Milt Cohen, Ernest DeMaio ,Rev.William D. Faw, Richard Galloway, Prof. Charles H. George, Prof. Margaret Y. George, Ben Green, Pearl Hart, Dr. Hyman J. Hirshfield, David C. Jensen, Daniel Kaufman, Rev. S. Hunter Leggitt, Harry Mack, Rev. Daniel J. Malette, Lafayette Marsh, Rev. Francis J. McGrath, Akiro Makino , Ruth Muench, Isadore Pomerantz, Jesse Prosten, Don Rose, Norman Roth, Dr. Boris Rubenstein, Evelyn Salk, Thomas Slater, Walter Soroka, Jack Spiegel, Prof. William Starr, Lynward Stevenson, Edmonia Swanson, Gil Terry, Rev.C. T. Vivian, Otto Wander, Rabbi Burr Yampol, Dr. Quentin Young. In 1992 Quentin Young and Ruth Young were members of the Chicago Committee to Defend the Bill of Rights, then dominated by members of the newly formed Communist Party spin-off Committees of Correspondence. Young was close to the Communist Party USA at least until the early 1970s. In Chicago on October 27, 1971 - The Presidential Ballroom of the Midland Hotel was packed with more than 400 people last Friday to mark the 8Oth birthday of Wiliam L.Patterson, the man who rocked the world with his charge of genocide against the U.S. imperialists. Spokesmen for the committee sponsoring the banquet told the Daily World that many who had delayed in getting reservations had to be turned away. Veterans of the working class movement said they could not remember an occasion bringing together such a broad spectrum of workers, trade unionists and professionals, in a tribute to a Communist leader. Audience members included centenarian Jesse Hilton, Dr. Quentin Young, president of the Medical Committee for Human Rights, Sylvia Woods, chairman of the Chicago Committee to Free Angela Davis, Fr. William Hogan, chairman of the Clergy and Laity Concerned, and Obed Lopez, a leader of the Latin-American Defense Organization. Also present were Nick Jones and Virginia Jones, and Roberto Acuna of the United Farmworkers, and Sylvia Kushner, executive secretary of the Chicago Peace Council. The Chicago Area Committee on Occupational Safety and Health (CACOSH) was founded in 1972 as a not-for-profit-organization of unions and health and legal professionals. The founders included Quentin Young, MD, Lou Pardo -IAM Tool & Die Makers; Peter Orris MD; and Frank Rosen –UE among others. Young, Orris and Rosen all had some affiliation to the Communist Party USA. CACOSH was the first COSH group in the country and provided the inspiration and model for the 18 groups now working in all parts of the nation. In 1972, Quentin Young's Medical Committee for Human Rights (MCHR) sponsored a conference in conjunction with area unions and health professionals. CACOSH grew out of that conference, because local union members decided that they needed an organization, run by union members, that would give them ongoing help on job safety and health problems. The CACOSH motto was “No one is going to solve our problems for us, we had to do it ourselves.” The health professionals in MCHR helped educate union members about what their jobs were doing to their health. CACOSH grew from a handful of people in a few local and district unions to an organization of more than 50 locals from 20 different international unions. Thousands of workers have participated in CACOSH and benefited from the education and training they have provided, and have shared their skills and knowledge with each other. In 1978, Quentin Young was on the Committee to Elect Dr. John R. Lumpkin for the 7th Ward Alderman, Chicago. In March 1979, the New York radical magazine the Guardian issued an emergency appeal to funds in an effort to save the publication. Circa late 1982, members of the Citizens Committee/Harold Washington for Mayor of Chicago (in formation) included Quentin Young. In the early 1980s Young was a leading member of Harold Washington's inner circle and was rewarded with the post of President of the Chicago Board of Health. On April 6, 1983, the Hyde Park Herald published an endorsement from the Hyde Park/Kenwood Citizens Committee of Democratic Party Chicago mayoral candidate Harold Washington. Signatories to the endorsement included Quentin Young and Ruth Young. As at April 11, 1983, Quentin Young served on the Board of Directors for the Illinois branch of the American Civil Liberties Union. In 1983, Quentin Young, Clinical Professor, Preventive Medicine and Community Health, University of Illinois Medical School served on the incoming Chicago Mayor Harold Washington's transition oversight Committee. Quentin Young was one of many Chicago socialists who supported the successful 1992 Carol Moseley Braun campaign for U.S. Senate. You were there when Carol Moseley Braun announced her intention to run for the U.S. Senate. 350 health care activists attended a conference at Seattle university Jun22 1996, organized by the Washington Single Payer Action Network. Craig Salins, the organization's president hoped the conference could become a launching pad for a "greatly broadened crusade to win affordable, quality health care for all Washingtonians." Rep. Jim McDermott addressed the conference. McDermott (prime sponsor of HR-1200, the single payer bill in Congress) predicted a social upsurge in which the people will demand "get the profiteers out of health care. Period!" Quentin Young of Physicians for a National Health Program criticized the centralization of fewer and fewer health care providers. Diane Sosne, a RN and president of District 1199 NW described the impact of market economics on health care workers. In 1991 Quentin Young, was identifiedas the national president of Physicians for a National Health Program and a long-time member of Chicago Democratic Socialists of America. In 1992 Chicago Democratic Socialists of America awarded their most well known member, at their annual DebsThomas-Harrington Awards Dinner. You have been there in the struggles for Civil Rights, for social and economic justice, and against all forms of discrimination. You were there in 1951 to fight against discrimination in Chicago medical institutions. You were there in 1983 for Harold Washington to win the mayoralty. You were there when Carol Moseley Braun announced her intention to run for the U.S. Senate. You have demonstrated your understanding that trade unions are a social force for Progress and Justice in our country. For you dedication in the fight for universal and comprehensive health care for all and for your lifetime commitment to change our society to the better, the Debs - Thomas - Harrington Dinner Committee hereby presents to you its annual award this First Day of May, 1992. In May 1992 Dan Cantor held a New Party fund raising meeting in the Chicago home of Quentin Young, "with half a dozen good people present". 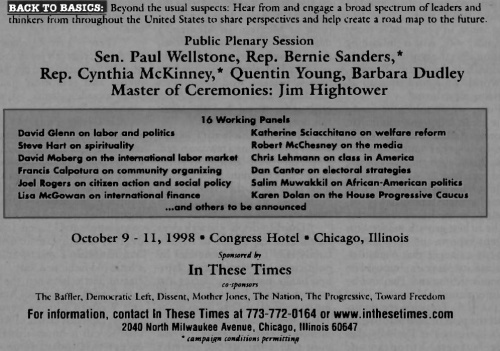 New Party News Fall 1994 listed over 100 New Party activists-"some of the community leaders, organizers, retirees,, scholars, artists, parents, students, doctors, writers and other activists who are building the NP" the list included Quentin Young, Physicians for a National Health Program. In 1994 Ramsey Clark, Alice Walker, Brian Becker, Teresa Gutierrez, Quentin Young, Gloria La Riva, Paul Epstein and Kathy Durkin were signatories to an International Peace for Cuba Appeal letter. The appeal was an affiliate of the Workers World Party dominated International Action Center. Gordon Schiff; Andrew Bindman; Troyen Brennan; Thomas Bodenheimer; Carolyn Clancy; Oliver Fein; Ida Hellander; David Himmelstein; Linda Rae Murray; T. Donald Rucker; Ron Sable; Jeffrey Scavron; Ronald Shansky; Ellen Shaffer; David Slobodkin; Steve Tarzynski; Steffie Woolhandler; Quentin Young. Congressman John Conyers Jr. (D-Mich.) hosted a National Health Insurance Conference, April 16-17, 2004 to kick off a 50-state campaign for passage of national health insurance legislation, HR 676 – the “Expanded and Improved Medicare for All Act.” Conyers introduced HR 676 in the House in 2003. In 1995 Quentin Young was a member of the board of directorsof Illinois Public Action. In 1996 members of the 120 strong boardof Illinois Public Action included Quentin Young, Congressmen Luis Gutierrez and Lane Evans, Chicago alderman Joe Moore and Peoria alderman Frank McNeil, State Senator Alice Palmer, State Representative Jan Schakowsky and Cook County Clerk David Orr. 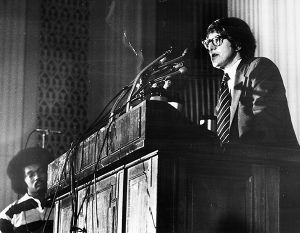 In 1995, State Senator Alice Palmer introduced her chosen successor, Barack Obama, at a gathering in the Hyde Park home of former Weather Underground terrorists Bill Ayers and Bernardine Dohrn. “I can remember being one of a small group of people who came to Bill Ayers’ house to learn that Alice Palmer was stepping down from the senate and running for Congress,” said Dr. Quentin Young, of the informal gathering at the home of Ayers and his wife, Dohrn. “[Palmer] identified [Obama] as her successor.” Barack Obama and Alice Palmer “were both there,” he said. In 1997 Quentin Young served on the board of directors of Citizen Action of Illinois. In 2003 Quentin Young and Ruth Young were listed as having donated between $250 - $499 to the Crossroads Fund between July 1, 2002 and June 30, 2003. Hugh Foy and David McLanahan of Seattle had "the special privilege" to spend 10 days with Quentin Young as part of a 2005 health care delegation to Cuba in that met with health ministry officials and visited the range of health care facilities from the community family clinics to the largest hospitals. They met with medical students from the US attending the Latin American School of Medicine in Havana where 4000 students from all over the world are receiving free medical education to become physicians who will go back to their home communities to provide care to the underserved. Quentin was irrepressible. During our time together, Quentin asked us why Seattle, that is supposed to be so progressive, didn’t have a chapter of Physicians for a National Health Program. This became a priority for us and the PNHP Western Washington chapter was established in 2006. Quentin was our PNHPWW Annual Public Meeting speaker in 2007 and 2012. Members of the advisory committee included Quentin Young. Chicago Committee to Defend the Bill of Rights organized a "Celebration of the The Dynamic Life of Frank Wilkinson (1914-2006)" on Sunday October 29, 2006. Wilkinson had been a leader of the Communist Party USA, the New American Movement and Democratic Socialists of America. Honoring Committee members included Quentin Young. Quentin Young is a long time friend and supporter of Barack Obama. He was Obama's personal physician for more than 20 years. Quentin Young, perhaps the most well-known single-payer advocate in America. He was the Rev. Martin Luther King’s doctor when he lived in Chicago and a longtime friend and ally of Barack Obama. In the 1990s Barack Obama and Quentin Young were both supporters of "single payer" health care..
As a state Senator, Obama and another leftist colleague and state representative Willie Delgado presented the The Health Care Justice Act to the Illinois House and Senate. Barack Obama is quite familiar with the concepts and the specific merits of single payer. Back in the late 1990s, when he was an Illinois State Senator representing a mostly black district on the south side of Chicago, he took pains to consistently identify himself publicly with his neighbor Dr. Quentin Young. He signed on as co-sponsor of the Bernardin Amendment, named after Chicago's late Catholic Archbishop, who championed the public policy idea that medical care was a human right, not a commodity. At that time, when it was to his political advantage, Obama didn't mind at all being perceived as an advocate of single payer. Quentin Young has suported Obama politically for since at least 1995. AMY GOODMAN: You’ve been a longtime friend of Barack Obama. AMY GOODMAN: How has he changed over the years? DR. QUENTIN YOUNG: Well, Barack Obama, as we know, was a community organizer, a very lofty calling, in my book, and he made the decision, when the opportunity came, that he could get more done politically, and he accepted the nomination for the seat in the State Senate. It’s not that long ago, really. It’s about a six, eight years ago. AMY GOODMAN: —former editor-in-chief of the New England Journal of Medicine. You weren’t allowed to go. Do you have President Obama’s ear anymore? You have been an ally of his for years, for decades. DR. QUENTIN YOUNG: Well, it’s mixed. I think we’re friends, certainly. At this gala that you mentioned, which was embarrassing, he did send a very complimentary letter. And I appreciate that, but I’d much rather have him enact single payer, to tell the truth. And we did—it’s fair to say, after a good deal of protest, I think we were told there was a—phones rang off the hook. They did allow our national president, Dr. Oliver Fein, to attend with Dr. Conyers—Congressman Conyers. That’s fine, but we need many more people representative of the American people at large to get this thing through the Congress, and Baucus, notwithstanding, be overruled. 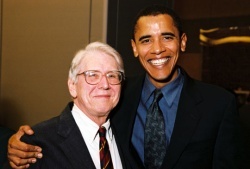 On March 5, 2000, Obama was endorsed by former congressman and White House counsel Abner Mikva; former Chicago Alderman Leon Despres; Dr. Quentin Young, an advocate for universal health care; Michael Shakman, an attorney who led the legal fight to eliminate patronage positions in city government, and Eugene Ford, a former aide to late Mayor Harold Washington, in his bid to unseat incumbent U.S. Rep. Bobby Rush. On May 1 2008, Quentin Young signed an open letter to SEIU president Andy Stern in protest at SEIU moves force its local United Healthcare Workers into trusteeship. In early 2009, Illinois Congressman Rahm Emmanuel gave up his seat to serve as Obama's Chief of Staff. A bye-election was called in Illinois's 5th District. Tom Geoghegan threw his hat in the ring. He was endorsed by his law partner Leon Despres, Quentin Young and Don Rose, but lost the Democratic primary race. 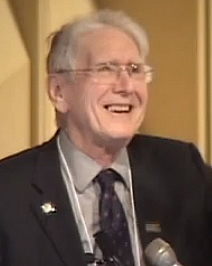 In 2009 Quentin Young M.D. was listed as National Co-ordinator for Physicians for a National Health Program. In 2009 Quentin Young, National Coordinator, Physicians for a National Health Program served as a co-chair on the board of directors of Healthcare-Now! . In April 2009 Illinois Gov.Pat Quinn(D) appointed Dr. Quentin Young, as Chairman of the scandal plagued Health Facilities Planning Board. Peter Orris serves on the advisory board of the National Physicians Alliance with Quentin Young. The March 3, 2012 7th Physicians for a National Health Program Western Washington Annual Public Meeting featured speakers Quentin Young, MD, National Coordinator for Physicians for a National Health Plan, Amy Goodman, author and the host of Democracy Now!, Teresa Mosqueda, Legislative and Policy Director of the Washington State Labor Council and Chair of the Healthy Washington Coalition, and Representative Jim McDermott, Congressman for the WA 7th CD. On May 15th, 2013 a national call-in was convened to promote Rep. John Conyers' bill H.R. 676, that would establish a non-profit, universal, single-payer health care program, an improved "Medicare for All" act. Benjamin Day - Healthcare NOW! Quentin Young addressed Jesse Jackson and Operation PUSH in 1975. ↑ Daily Herald, Monday, March 6, 2000. Section 1, Page 7. This page was last modified on 23 February 2019, at 22:43.